I read a lot of personal finance books and books in general. Some are lackluster, some are meh, some are good, and some are incredible. Broke Millennial is a top freaking notch personal finance book and I haven’t read one quite like this in a long time. 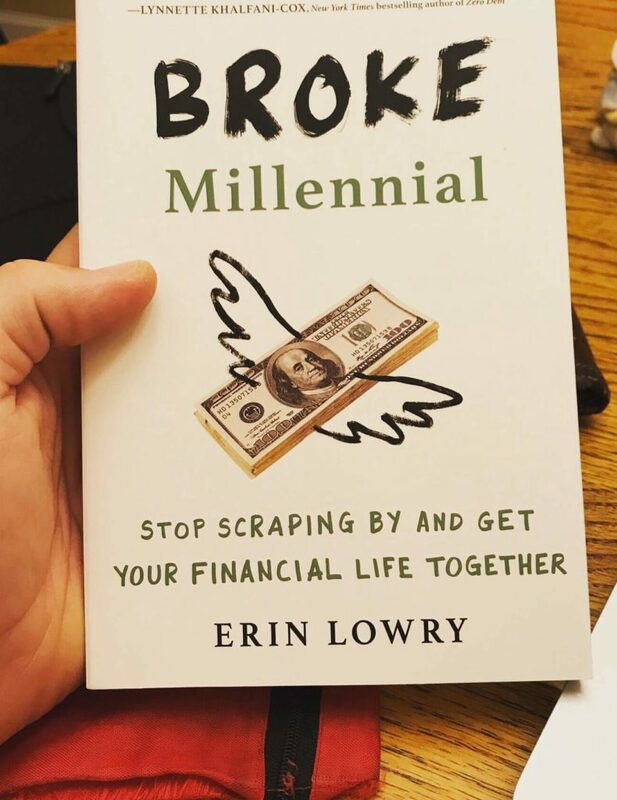 It’s a refreshing read that deals with a lot of issues specifically facing millennials and their money. If you haven’t read it yet, I highly recommend it. Erin Lowry (the Broke Millennial herself) is a 26 yr old living in NYC and truly understands finances for young people. I wanted to share this book with you all in hopes that you find it helpful. I don’t get a dime for this, and every word you see below is my honest opinion and review. If you decide to pick up the book, let me know, I’d love to hear what you think! This book covers ALOT of ground in a relatively short span. 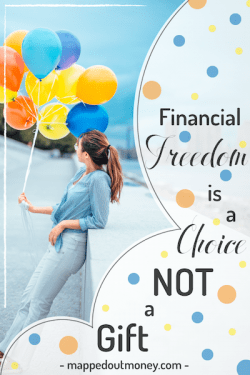 Erin does a great job of breaking down key personal finance topics into bite-sized chunks. Broke Millennial is written in a way that lets you skip around and read only the chapters that you need. Every topic stands on its own two feet, which makes it a perfect grab and go read. Here’s a list of all the topics that the book touches on. Broke Millennial covers a ton of different topics, so I wanted to point out a few things that specifically stood out to me. There are millions of personal finance books out there, and ultimately it’s finding the ones that most resonate with you that’s important. Here’s what resonated with me. There’s a fine line between being fun and also delivering the goods. The book did a great job of drawing me in with relatable stories but not so much that it was full of fluff and filler. Erin tells a story and then quickly gets to the point and delivers the advice/lesson. He cast his eyes down and exhaled slowly. His leg twitched as he drummed his fingers on the table. I could feel the nerves emanating from him. My foot kept tapping the ground to release the tension from my own body or perhaps just to make a distracting noise to break the silence. We’d talked about taking this step before, but it would be the first time for both of us, so we were understandably anxious. How would it feel? I’d heard it could be painful, and once it happened there was no going back. Then Peach (Erin’s Boyfriend) steadied himself, looked me square in the eyes, and told me his number. That excerpt appears in the chapter titled “getting financially naked with your partner” and tells the story of the first time Erin and her boyfriend shared their finances and debt with each other. If you know me, you know how important I believe it is for people to be on the same page financially in a relationship. So I loved hearing first hand how this has gone in Erin’s relationship. 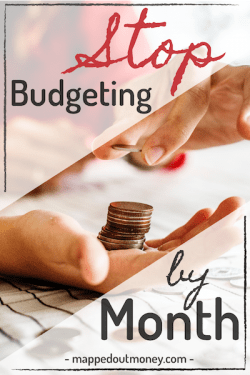 Here at Mapped Out Money I put a big emphasis on your mindset around finance and discovering how you emotionally deal with money. So I was pumped to see what a big focus Broke Millennial put on mindset early on in the book. In chapter 2 the book takes you through a couple of different exercises to help you uncover hidden mental blocks you may have about money that you didn’t even know existed. This was easily one of my favorite parts of the book. This book recognizes that not all people are born into the same situation or have the same natural tendencies with money. 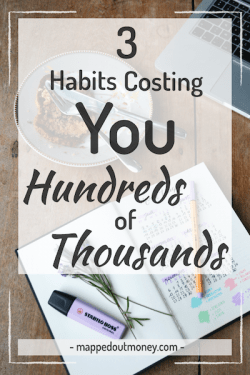 Whether the topic is debt, savings, budgeting, or mindset the book takes on different perspectives and points out multiple angles for the same situation. This is a HUGE thing for me because traditional finance gurus will tell you it’s their way or the highway, but that’s just not real life. Broke Millennial understands that and lets you choose what group you most identify with and then gives you advice based on that situation. It provides multiple strategies for debt paydown, budgeting, and a choose your own adventure style team grouping for your money mindset. Plus 1 for recognizing people are different. Plus 2 for giving different advice to different people. I get questions all time from friends about investment accounts, credit scores, loans, and bank accounts. There’s so much information out there that is misleading and sometimes flat-out wrong. It’s sad. Broke Millennial does a great job of hitting the high points of every major financial product out there. After reading it, you’ll understand the basics of credit cards, credit scores, consumer debt, bank accounts, retirement accounts, and loans. Specifically, the chapter on credit reports and credit scores is top notch. This is one of the most misunderstood things in finance and it was refreshing to see so much info condensed in a way that was easy to grasp. These are topics that are traditionally boring and mind-numbing to read about. Kudos to Broke Millennial for hitting the highlights in an engaging way that keeps me reading. I was so pumped to see how big the role of relationships played in a book. Erin weaves in stories about her parents and sister throughout the book and has two chapters dedicated to money and relationships. It’s a big deal and I was glad to see the book didn’t shy away. One of my favorite tactics was to have a conversation with your S.O. about how “fancy” you are. Meaning, how much $$ do you spend on dates? What sorts of gifts do you expect? Nails done, hair done, everything did? There’s also an entire chapter on dealing with money and your friends. This is a conversation that’s near and dear to my heart and yet a lot of people don’t cover this topic. Erin discusses different strategies for how to deal with friends who try and get you to spend money when you don’t want to. There’s also some good tactics for practically spending money with your friends in ways that still help you meet your financial goals. Relationships are a big deal. Money is a big deal. Glad to see them put together. A lot of popular personal finance books were written 10+ years ago and are outdated on specific issues that face our generation. Broke Millennial covers topics like student loan debt and boomerangs kids moving back home. 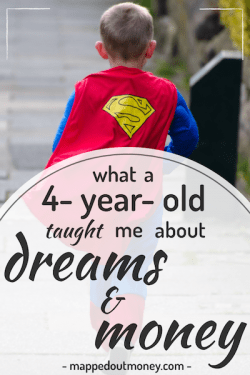 There’s a lot of practical advice for navigating life back at home with the folks, negotiating salary, and dealing with student loans. The book even profiles millennials in different student loan situations and shows you how these people have been able to deal with their debt. I love this no-nonsense approach to dealing with our problems head on. Especially on topics that I’m passionate about, like navigating financial relations with the parental units. 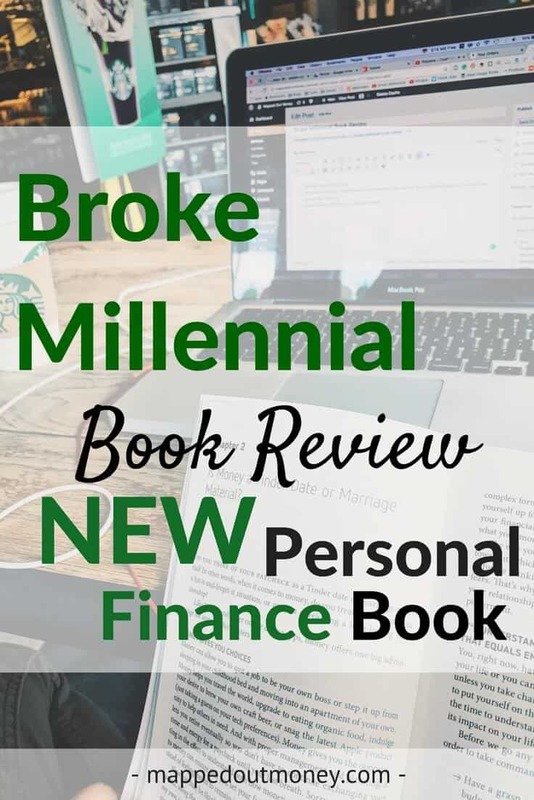 Broke Millennial is a straight up personal finance book with a hefty focus on general financial knowledge and money management. It’s not an investing book, business book, or retirement guide. While the book does have some solid information for getting started with investing and I agree with a lot of the recommendations, this isn’t the main focus. Same goes for retirement. 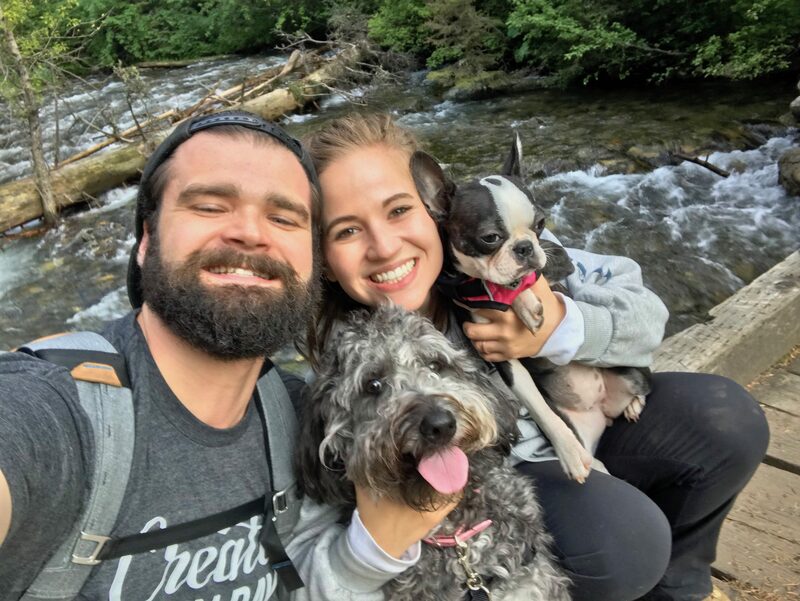 Different retirement accounts are covered from a definitional standpoint, but there isn’t a ton of info around retirement. And there isn’t supposed to be. It’s not that sort of book. If you’re looking for specific information on how to make more money, invest, start a business, or plan for retirement, you should find a book specifically on those topics. Although the title is Broke Millennial, a lot of the information can be applied across generations. If you’re not a “millennial” I wouldn’t necessarily be turned away. But if you are a millennial, you’ll definitely want to pick this one up.